Alfa Romeo cars have and are becoming are brand that seem to popping up on the UK roads more and more over the past couple of decades. The performance of Alfa Romeo cars are getting better and better and they have a built up a reputation of manufacturing aesthetically pleasing cars. The durability of the Alfa Romeo models have been bought into question in the past, however they have been working tirelessly over the past decade to improve the quality of their cars. This is great news for people who are interested in buying Second Hand Alfa Romeo’s simply due to the correction of previous problems. Below are a few of the Alfa Romeo’s you should be able to pick up second hand and obviously at a decent cost. 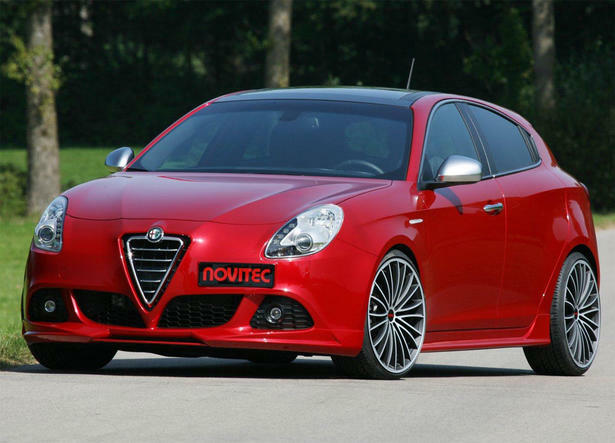 Alfa Romeo Giulietta – The Giulietta is a considerable improvement on the Alfa Romeo 147 which I personally feel was a disappointment. 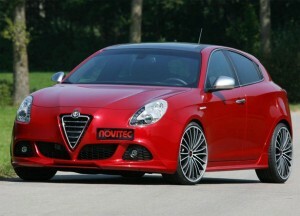 You may or may not be surprised to know that the Giulietta is loosely based on the Fiat Bravo. The grille on the front is a real trademark of the Alfa Romeo brand and the LED lighting on the front and rear really makes this car a real eye catcher. The engine options available on the Giulietta are all turbocharged so anybody with a lust for speed will be satisfied with whichever range they choose. The interior is an area that has actively been addressed and improved without taking away the quality, distinctive interior that Alfa Romeo have made their own. Obviously when looking at a Used Alfa Romeo Giulietta the sound advice is to check for any damage/scratches to the interior. A damaged interior is one of my biggest pet peeves, the reason being a damaged exterior could be down to an accident or act of vandalism however a damaged interior can only be blamed on the owner and if they can’t look after their interior then it makes me question how well they looked after the rest of their car. Alfa Romeo GT – When it comes to the GT model, unfortunately I believe there to be far too many negatives that outweigh the positives. Although it is fairly roomy for a 5-seat cabin and still has the desirable exterior, which you have come to expect from an Alfa Romeo, the problems range from water pump failure, timing belt going after as little as 40,000 miles, clutch failure and brake failure. These failures are all major problems for a car so if you have an interest in a Second Hand Alfa Romeo GT be sure to have it properly checked and ask the appropriate questions. You never know you could be the lucky one who has found a used Alfa Romeo GT that has already had these negatives replaced. Alfa Romeo 156 – As we have become accustomed to over the years the 156 is another visually stunning Alfa Romeo and does have various fabulous engines available for their customers to choose between. It is probably not the best car for a family because the rear space is very limited and the boot does not have the space required to fit many suitcases. I would say the 156 model is aimed towards young professionals who are looking for a flashy car and don’t have the responsibilities of children. The comfort of the car is commonly praised so if you are looking for a good looking, yet comfortable ride do not be afraid to include a Second Hand Alfa Romeo 156 as one of your options. 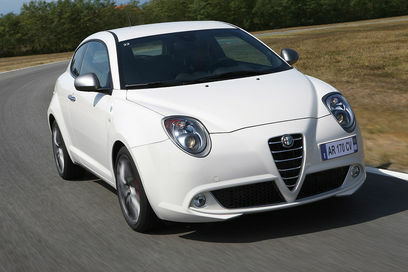 Alfa Romeo Mito – As a premium supermini model the Mito is still a fairly new model, so to find a used Mito may require a bit of extra patience. However, as mentioned before Alfa Romeo, they look fantastic so the extra patience will certainly pay dividends. The safety of a Mito is superb and has actually scored the maximum five-star rating in crash tests conducted by Euro NCAP. All versions of the Alfa Romeo Mito also come with an alarm and immobiliser, so be rest assured this is not an easy car to be stolen.